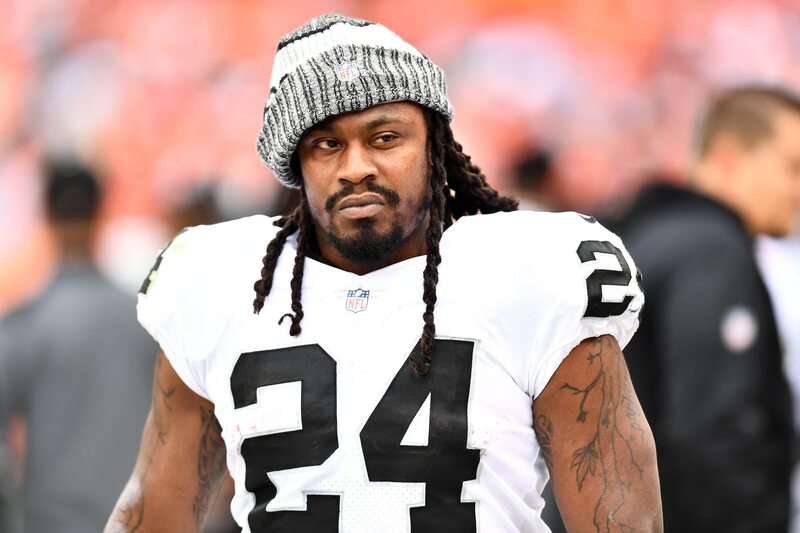 Will Marshawn Lynch be back in Silver and Black next season? Oakland Raiders head coach Jon Gruden made it clear Tuesday he’s open to the idea. “We’d love to have him back,” Gruden said, according to Michael Gehlken of the Las Vegas Review-Journal. Lynch recently made an appearance on “Real Time with Bill Maher” and said he’s open to playing again in 2019, provided with the right opportunity. While he was on the show he also provided Raiders fans with quite the eye-opening nugget of truth about Al Davis’ eternal flame. Another thing that was pretty clear is that, if Lynch is going to play next season, he’ll have to lose a bunch of weight. He went on injured reserve due to a groin injury — playing in just six games last season — and appears to be quite a bit off his playing weight and conditioning. In 21 games with Oakland, Lynch rushed for 1,267 yards and 10 touchdowns, adding another 235 yards receiving. He’ll turn 33 before the 2019 season begins.